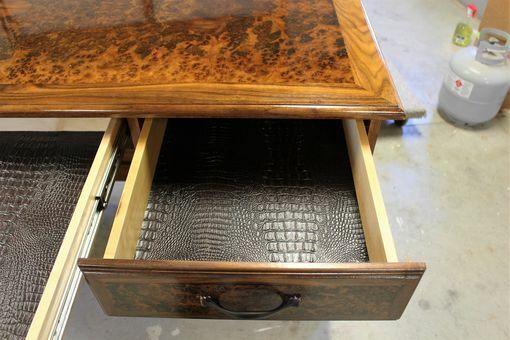 This is a desk I made from solid Walnut and Walnut burl veneer. 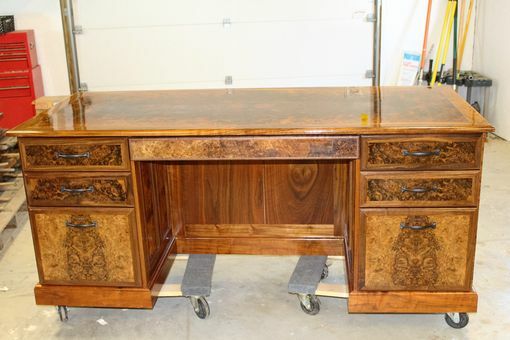 The desk features a 4 way bookmatch on top. 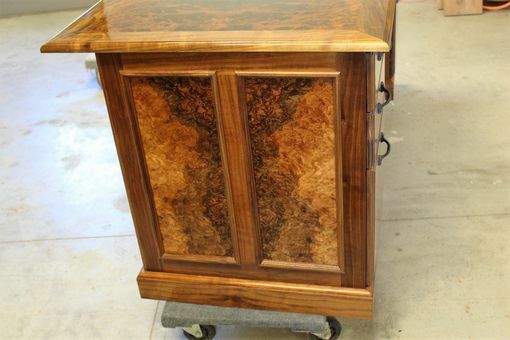 The drawers are maple with dovetailed walnut faces. 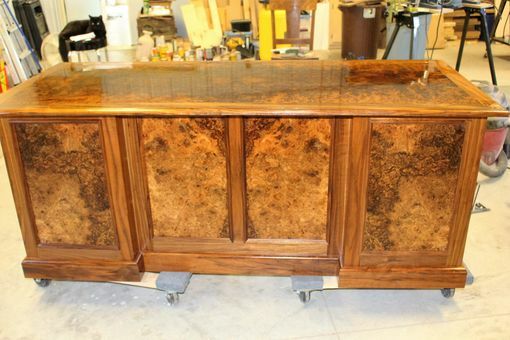 It is finished with shellac and wax on the base and the top is finished with several coats of polyuerethane. 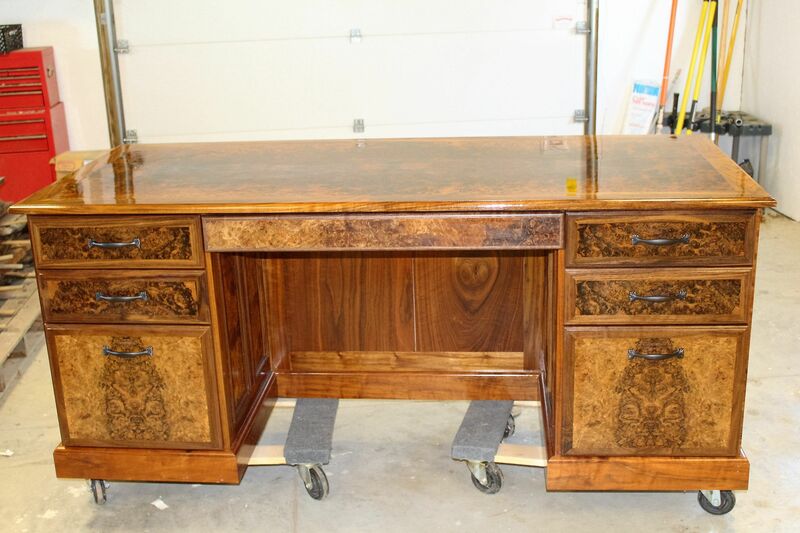 This is a good example of a desk I could make and the dimensions are fully customizable. 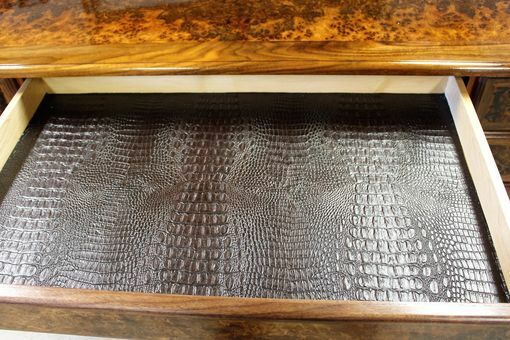 The drawers are lined with snakeskin pattern vinyl.